Wisconsin hockey captain Luke Kunin will bypass his final two years of eligibility after signing a three-year entry level contract with the Minnesota Wild. The 19-year-old forward was the 15th overall pick in last year’s NHL Draft. 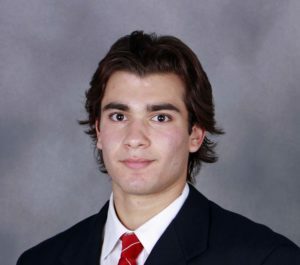 In two seasons with the Badgers, Kunin scored 41 goals and 70 points in 69 games. Coach Tony Granato said earlier this week that if Kunin felt he was ready for pro hockey, then he should go. Kunin helped the Badgers win 20 games this season, a 12-win improvement from a year ago. Their season ended last Saturday night, one win shy of an NCAA Tournament bid, when they lost to Penn State in the Big Ten Tournament title game. Kunin was assigned to Minnesota’s American Hockey League affiliate in Iowa and he’ll make his pro hockey debut on Friday night in Cleveland.